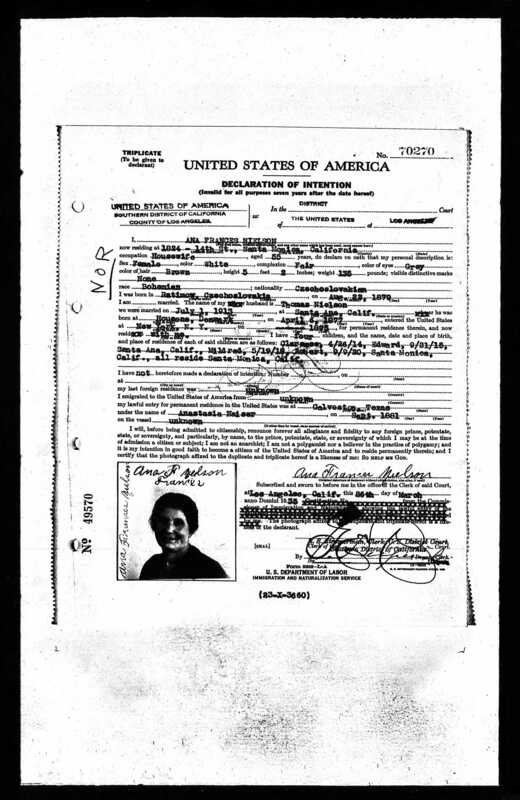 I found a really cool naturalization record which shows the village of origin of an ancestor. Look! It even has her picture! This is my great great aunt’s daughter, Anastasia Františka Naiser (22 August 1879-24 June 1974). Here is her 22 August 1879 birth record, but not in Vratimov (written as Ratimov in her naturalization record), in neighboring Rakovec. A rough English translation to that village’s name would be “Crawdad” by the way 😀 My 5th cousin Roman (who lives in neighboring Řepiště) and I drove out there to the fields where they farmed. He turned to me and said, “This is really the middle of nowhere, isn’t it.” (technically he said this is the edge/end of the world, but it’s the same thing). It made me smile. I loved it. What is interesting to me here is this: she was born in Rakovec, yet says she came from Vratimov. This made me a little bit nervous. It was probably my first time being conscious about hearing real non-bastardized Czech being spoken in my whole life. I had probably heard my grandpa before he died in 2003, but that (and folk songs) doesn’t count. I was just a kid. It made me second-guess my ability to pronounce anything. It this point in time, I was still thinking of the village name “Trojanovice” as “Tro-jinn-OH-viss” in my head. I will never forget going into the research center and talking to one of the librarians. I wanted to find Vratimov on a map. I had done it before online, of course, but I was trying to see if she knew anybody else from that area. She looked at me funny and said that she had never heard of such a place, and wasn’t even sure it existed. I assured her, yes, it definitely existed. That is where my ancestors were from. Apparently Anastasia was told this, too. It is interesting that the story of her being “from Rakovec” didn’t survive, but rather the story of being “from Vratimov.” Her father, Karel Naiser, was from Rakovec, as were his parents. It was the Vašíčeks, his wife’s family, who was from Vratimov. They were pretty prominent members of their parish, too. They rented spots on the first row of the church. They ran the most profitable farm in the 18th century (barring – duh – the vrchnost’s farm). They are my people.